How long have you been using your carpet at home? It may be more than three years since you have bought it for the first time and you have never cleaned it once. Now, you can look at your carpet and the color looks different and awful. It seems that you need to clean it immediately before it stinks. Somehow, if you cannot do it alone, you may call a stain removal service. For those who live in Dallas TX, you can count on Alan Carpet Cleaning as the best partner to handle this issue. Why do you have to trust Alan Carpet Cleaning? It is undeniable that you can find a reputable carpet cleaning service in Dallas TX for stain removal. But, which one do you choose? Anyway, Alan Carpet Cleaning must be your best choice because this company has been running since many years ago and has a lot of customers across the state. So, there is no reason to worry about it because you will get the best service as you expect. Stain on your carpet can make your home look awful because it makes the carpet dirty. So, it is important to clean the carpet regularly. But, when the stain is already there and you cannot remove it manually, then you may get some help from a stain removal service. Alan Carpet Cleaning is the best choice if you want to get a fast and effective both stain removal and odor elimination. Within a few hours, your carpet will look new again as if you buy a new carpet. Talking about hiring a carpet cleaning service, it is not easy to find a service or company that offers a satisfaction guarantee. Perhaps, there are some companies that offer a satisfaction guarantee, but they are not sure what they offer. 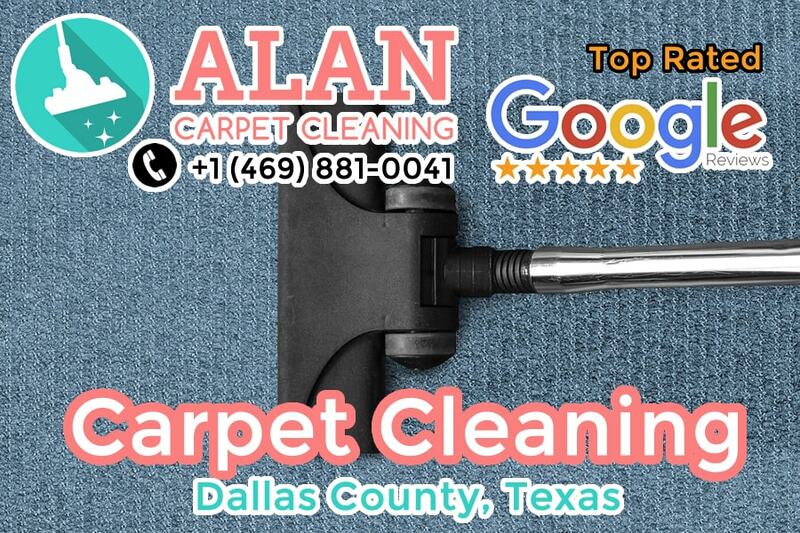 So, if you really want to feel satisfied when seeing your carpet, then you have to hire Alan Carpet Cleaning as the best company in Dallas TX. The specialists will clean your carpet totally until you feel happy and satisfied as you expect. Now, it is time to talk about the cost. How much will you spend to hire a carpet cleaning service? It must be frightening because you do not have enough money to hire a professional service. But, you are no need to worry about it because Alan Carpet Cleaning will not make you sad in dealing with cost. Alan Carpet Cleaning becomes the most affordable service in Dallas for stain removal on your carpet. In addition to the low cost, the specialists can also work fast and make sure the carpet looks awesome again. In conclusion, those are a few reasons for choosing Alan Carpet Cleaning for special stain removal and odor elimination on your carpet just in case you cannot clean it alone. It is not a bad idea to hire this service because they have professional specialists that can make your carpet look new.